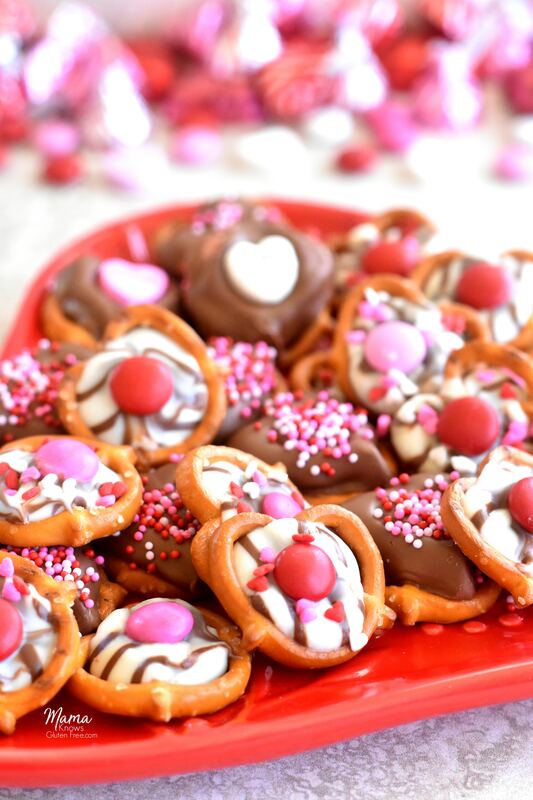 Gluten-Free Chocolate Covered Pretzels for Valentine’s Day. 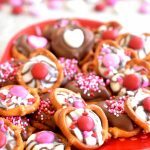 Are you looking for a fun and easy treat to make for Valentine’s Day? 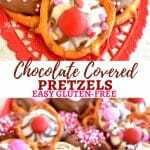 These gluten-free chocolate covered pretzels are perfect for Valentine’s Day class parties or as a homemade gift made from the heart. These were such a fun gluten-free treat to make with my kids. Quick and super easy. You can get creative as you want with these chocolate covered pretzels. Just pick out your favorite gluten-free chocolates, candies, and sprinkles for decorations. We choose Hershey Hugs, Hershey Chocolate Hearts, Valentine’s Day M & M’s, candy hearts and Valentine’s Day sprinkles. Gluten-free treats for Valentine’s Day does not get any easier than this! Looking for more gluten-free Valentine’s Day recipes? 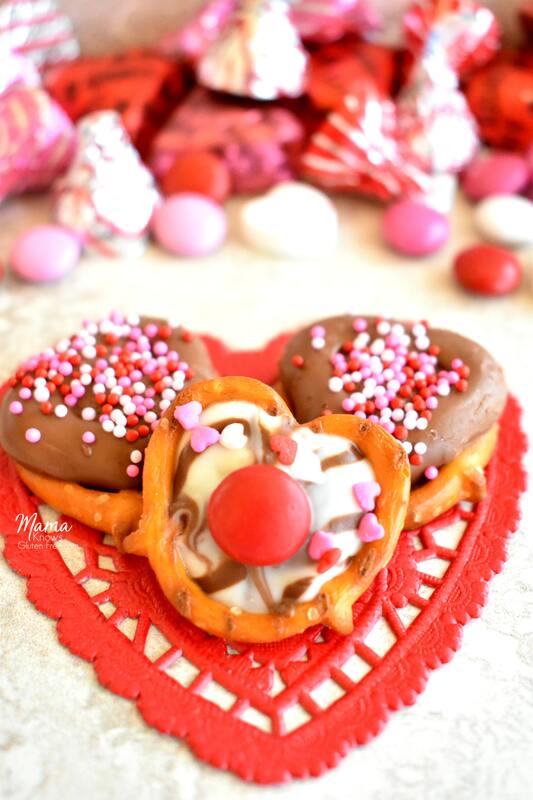 Easy gluten-free chocolate covered pretzel for Valentine's Day. A perfect treat for parties or as a gift for family and friends. Fill the cookie sheet with gluten-free pretzels. 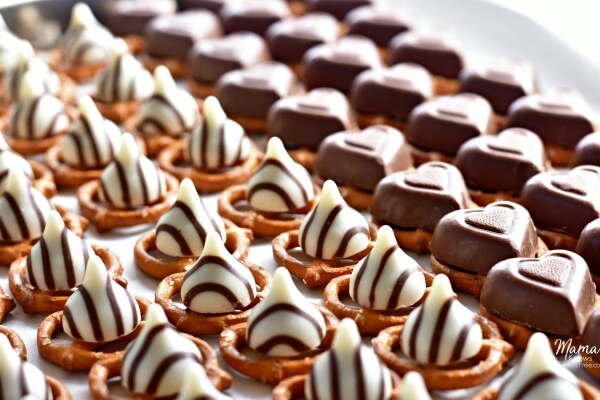 Top each pretzel with one unwrapped chocolate. Bake 3 to 5 minutes or until the chocolate piece begins to soften, but not melted.